Yours deserves only the best and purest sunscreens money can buy. You never want to use chemical sunscreens on your baby because they absorb into the bloodstream. Instead, choose mineral based sunscreens- they are safer. And we all want our babies safe, right? My go-to brand for basically everything is Attitude, because you can always count on them for leaving out the nasties and having all the certifications you could want. 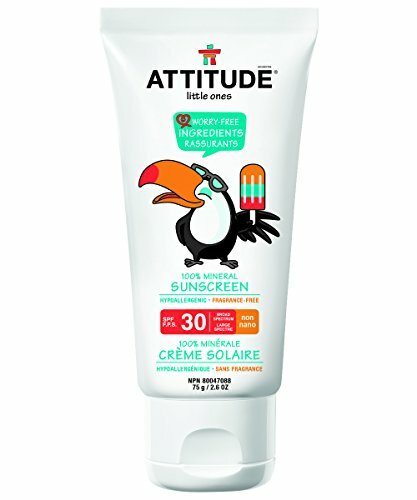 This sunscreen boasts SPF 30 and a hint of vanilla scent. 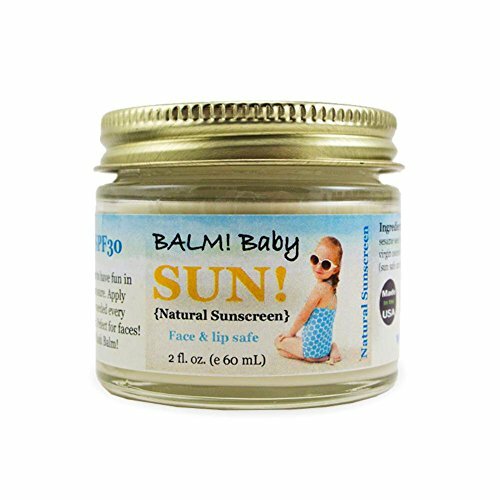 It protects from UVA and UVB, plus looks adorable in your bag. Worrisome parents- it’s EWG verified! 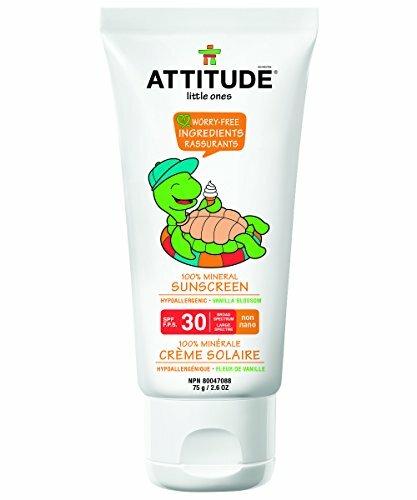 For the picky babies, this sunscreen is just as cute and also boasts SPF 30 but sans any annoying scent. Applying it shouldn’t irritate your baby, especially because it’s mineral based, hypoallergenic and dermatologist-approved. Serving up non-nano zinc oxide, the preferred mineral and chemical free protector, Nurture My Body’s certified organic baby sunscreen is moisture-rich and ideal for infants. You have to give it a good shake before applying and don’t forget to really rub it in otherwise you’ll look like a ghost! With vitamin E, jojoba oil and olive oil, it has only 8 ingredients. The simpler, the better. Scent sensitive- it’s fragrance free! 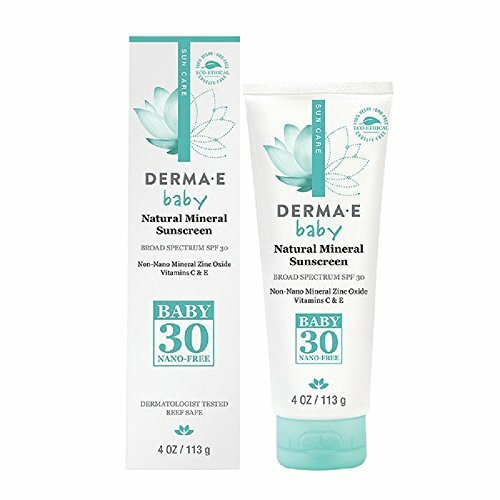 Contending for your money is Derma E’s non-nano zinc oxide baby sunscreen that calms your baby’s skin with chamomile and gorgeous packaging (that’s really for you!). GMO free and packaged in a glass jar (or biodegradable stick), Balm!’s portable sunscreen is perfect the skin but also the lips! Slather this moisturizing balm all over without worry because it’s loaded with non-nano 25% zinc oxide, extra virgin olive oil, coconut oil and macadamia nut oil. According to the company, it can also be used as a diaper rash treatment which means twice the usage. 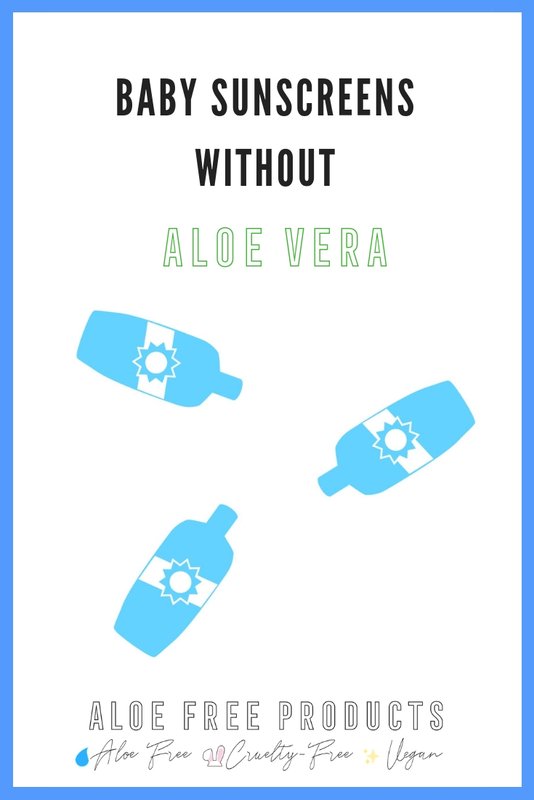 If you hate sunscreens that make a liquid mess, you’ll appreciate the thicker balm consistency. Water babies and kids- it’s water resistant!